In remote and rural communities, distance often prevents people from seeking health care when they need it. 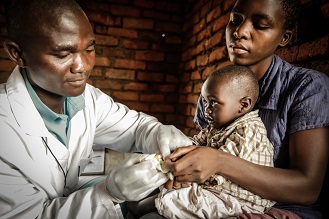 In a country like Malawi with one of the highest rates of maternal, child, and infant mortality in the world, knowing where and when to seek care is critical to reducing maternal and child mortality rates. Chipatala cha pa Foni (CCPF) is a toll-free health hotline in Malawi that creates a link between the health center and remote communities. 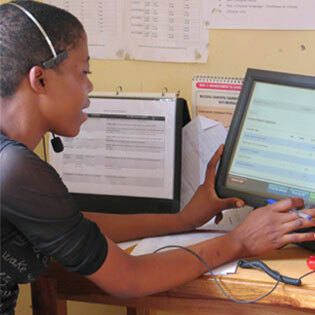 CCPF is staffed by trained health workers who provide information and referrals over the phone. Originally developed as a maternal and child health innovation, CCPF has evolved to become a general health hotline, covering all general health topics including nutrition and sexual and reproductive health in accordance with Ministry of Health guidelines. 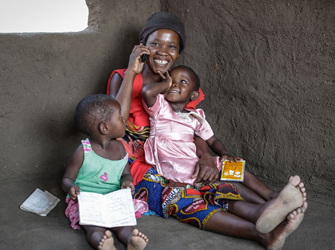 Through CCPF, women and caregivers can also sign up to receive personal text or voice reminders on maternal and child health topics specific to their month of pregnancy or their child’s age. CCPF for Adolescents extends the platform for HIV prevention with youth friendly health services and information for sexual and reproductive health. Provides communities with greater control and opportunity to interact with the health system without having to travel long distances to the nearest health facility. 1 A woman living in Malawi has a 1 in 34 chance of dying during childbirth (World Bank 2014) and child mortality rates are unacceptably high at 71 per 1,000 live births (UNICEF, 2012). A toll-free hotline provides clients with information and advice on a wide range of health topics and refers callers displaying “danger signs” for further care at a village clinic, health center, or hospital. 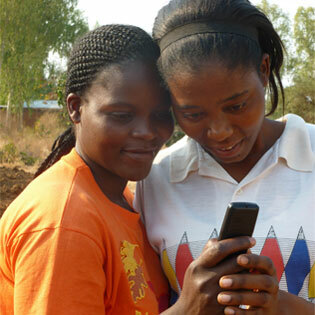 A “tips and reminders” mobile messaging service provides regular text or voice messages on sexual, reproductive, maternal, and child health topics. Messages are tailored to the client’s week of pregnancy or a child’s age. Mercy, a 24 year old pregnant woman from the Dailesi village in Balaka, was saved by a phone call when she went into labor and could not reach the nearest health center, 12 km away. Use of the service has increased significantly since its launch in 2011. CCPF currently covers nine districts in Malawi and is accessible to over 5 million people. 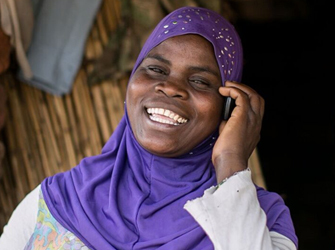 With the support and partnership of Africa’s largest mobile carrier, Airtel, CCPF continues to grow toward national scale. The Malawi Ministry of Health (MoH) endorses CCPF and is currently in the process of transitioning operations from NGO VillageReach to the Ministry with the goal of completing national scale up of Airtel CCPF to all districts by the end of 2018. An official Memorandum of Understanding has been signed with the Ministry of Health, laying out the government’s commitment to fully own and operate the service. Contributions from strategic partners and individual donors support the infrastructure improvements and partnership development required for scaling.